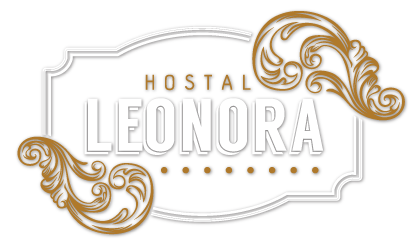 Leonora Hostal has its own story bassed on the many years of history that has passed and the street where it is located. The house belonged to various famous people born in Puebla, one of them being Don Agustin Mora he was governor of Puebla three times and once in Guerrero. In addition the calle 3 oriente, where we are located, was the first street with the name of the city. It was named Alonso Martin Partidor to honor one of the 33 Spaniards that founded Puebla. Afterwards it was named Calle de la Aduana Vieja and in 1785 it was converted to Calle Del Colegio de los Infantes. The construction is dated back to century XVII and XVll of baroque style with details inside with characteristic of ART Nouveau, with original oil paintings on ceilings and walls. In the Suites you will find artisanal works and implementation of gold leaf on moldings, characteristic of the Churches in the center of Puebla. The private library is built with cedar wood ranging from moldings to shelves, and is dated back to XIX century and is considered one of the most beautiful libraries in the country.